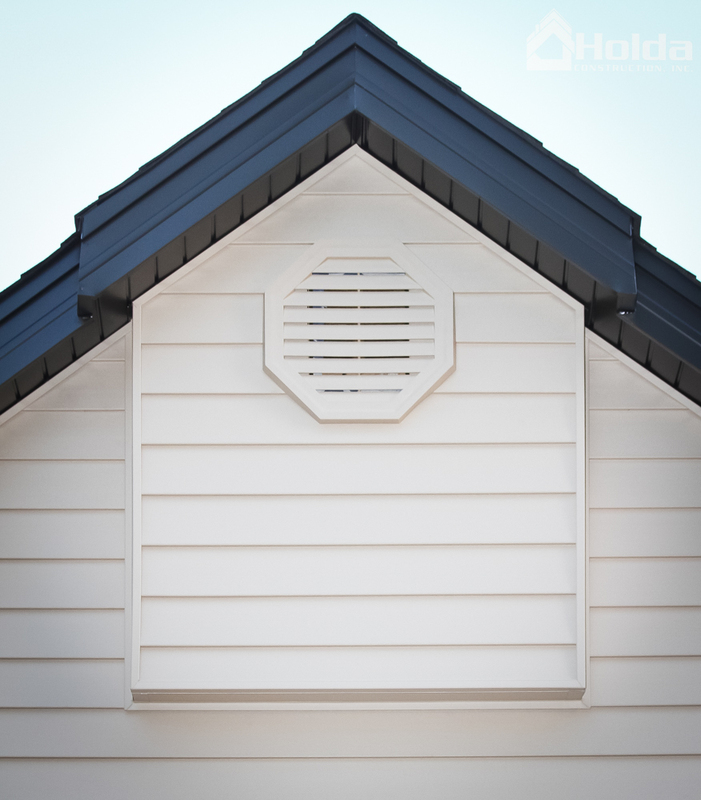 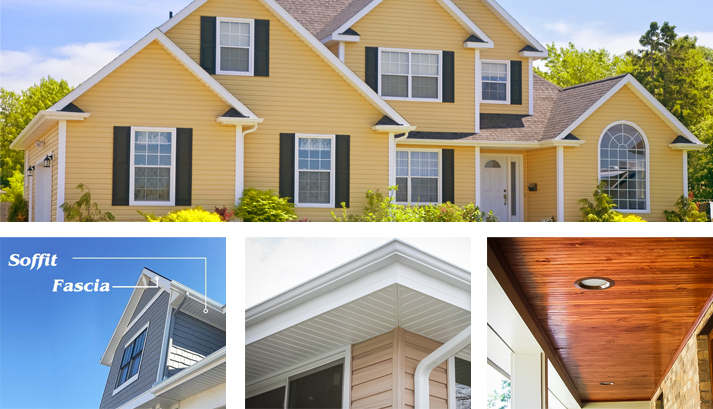 So what exactly is soffit & fascia? 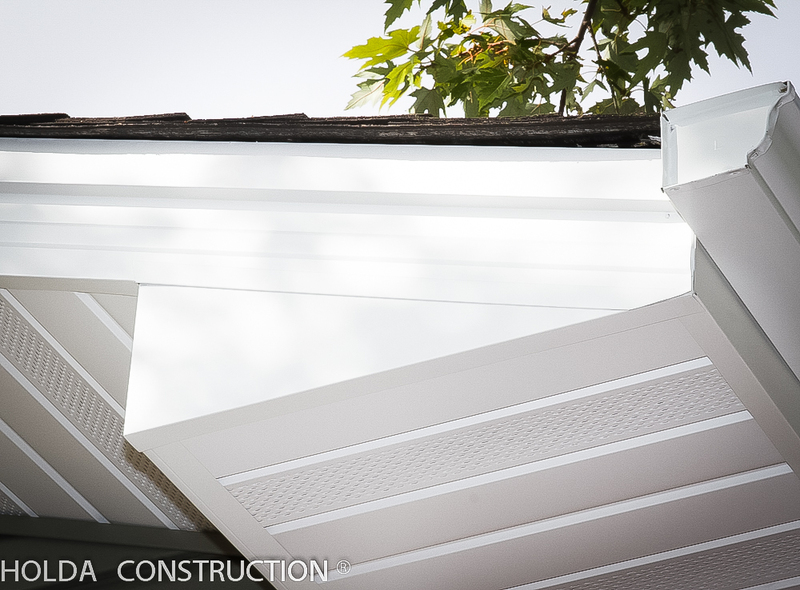 When referring to the exterior of your home, fascia is the flat board that caps the end of the roof rafters, and runs behind the gutter line and along the peaks. 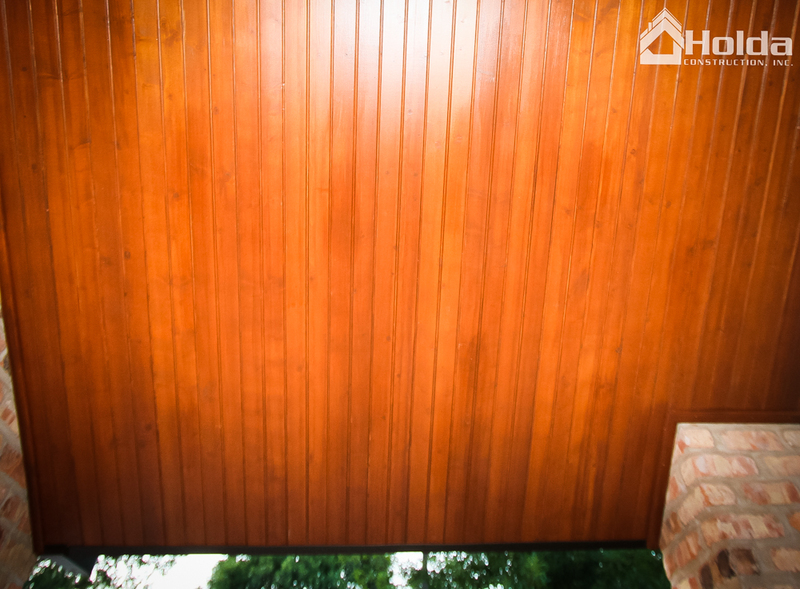 It is usually visible from street level. 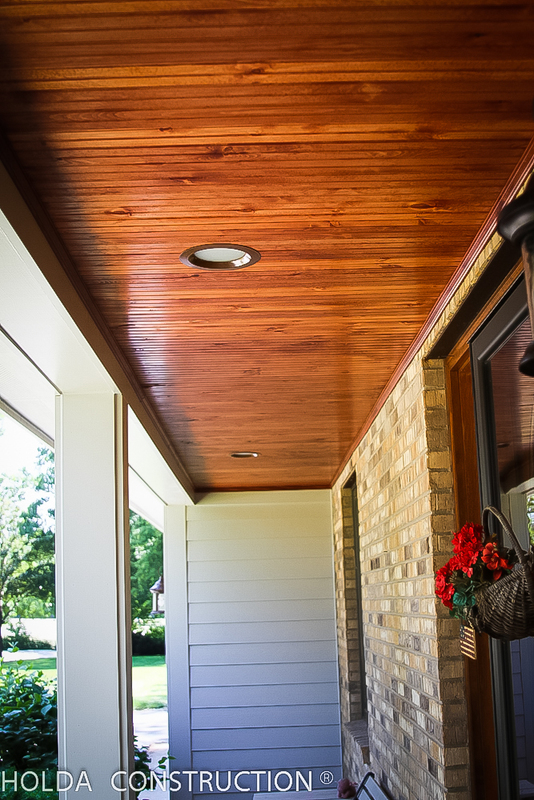 Soffit is the material forming a small ceiling from the top of an exterior wall to the outer edge of the roof/fascia board, bridging the gap between a home's wall and the roofline. 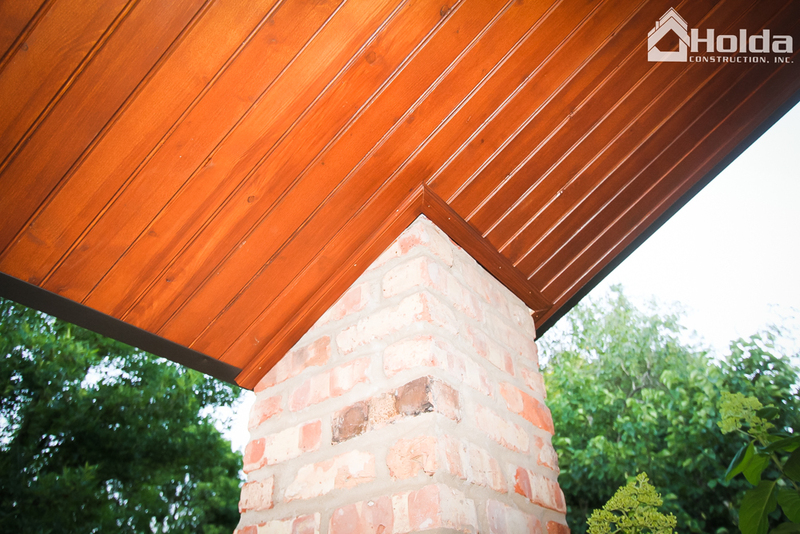 This area is also referred to as the eaves or overhang. 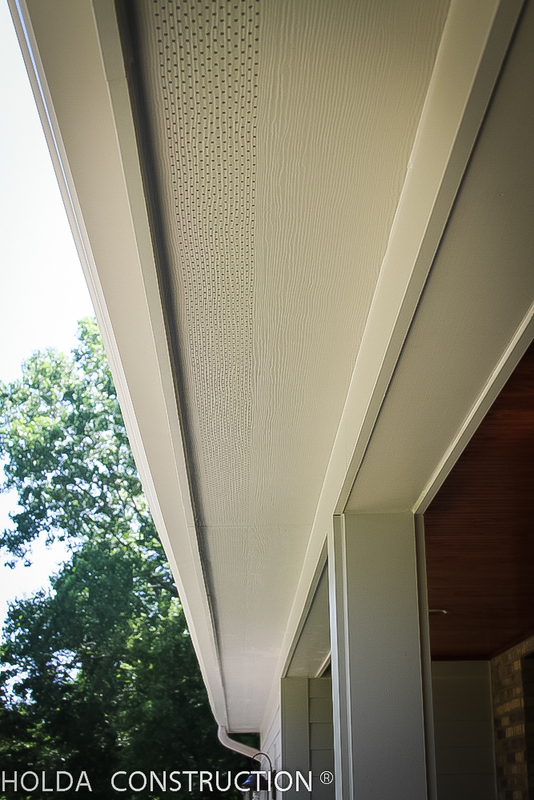 Soffit, if vented, adds the benefit of allowing air to be circulated into the roof area, which is essential to a healthy roof system. 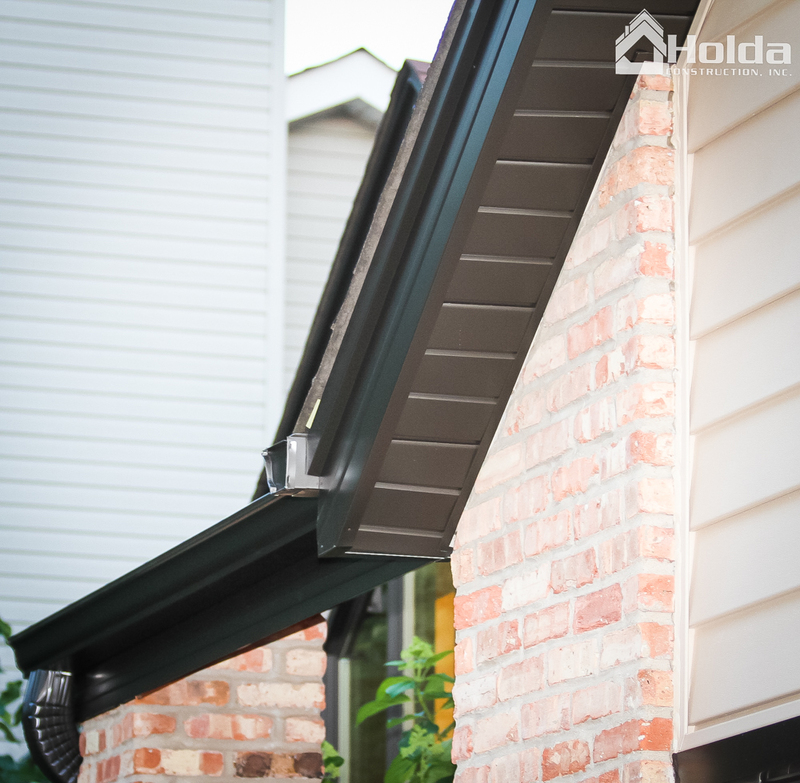 Holda Construction, Inc. can install, replace, or repair existing soffit and fascia, and add ventilation where necessary. 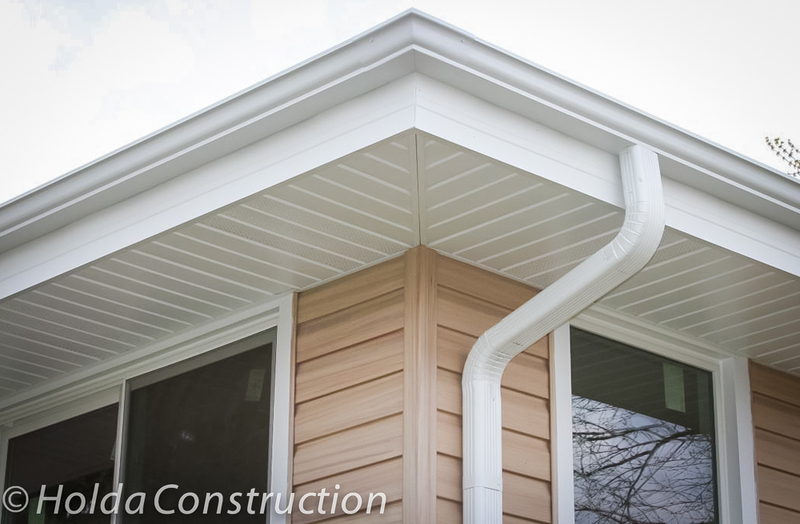 This can be done in conjunction with your roofing or siding project, or as a standalone service, though full replacement is typically performed along with gutter replacement, as gutters must be removed in order to replace the adjacent soffit & fascia. 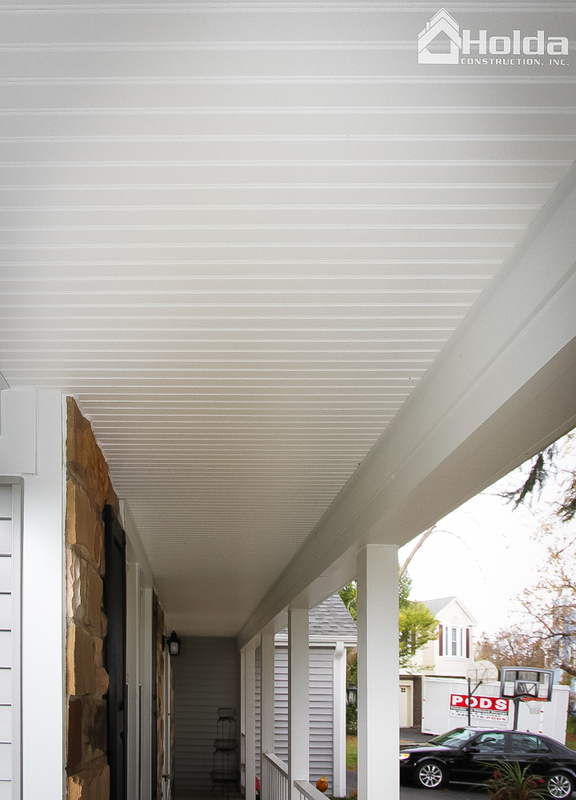 If your existing soffit and fascia is not maintenance free, consider upgrading to long-lasting low-maintenance materials.